Whether you’re downsizing or thrill-seeking—or anything in between—find out if the RV lifestyle is right for you, and learn how to transition from a life of traditional home-ownership to one on the road. Do you love traveling? Meeting new people and seeing new places? Are you craving a life that feels meaningful and new? The RV lifestyle could be the answer. Both aspirational and practical, Living the RV Life is your ultimate guide to living life on the road—for people of all ages looking to downsize, travel, or work on the go. Learn if life in a motor home is right for you, with insightful details on the experiences of full-time RV-ers, tips for how to choose an RV (how big? new or used? ), whether to sell your home (and if not, what to do with it), model costs, sample routes and destinations, basic vehicle maintenance, legal and government considerations—and much more! Written in a light and an easy-to-understand style, Living the RV Life is your bible to living a mobile life. Julie Bennett and her husband Marc, of RVLove, are full-time RVers, Bloggers, YouTubers, RV course instructors and inspiring lifestylists, who live, work and travel from their motorhome while exploring the world. They have traveled to all 50 USA states, plus Canada, Mexico, and Australia, while still working full time. "Perfect for the RVer who’s thinking about going full time, or one who wants to revel in another’s adventures. Either way, it makes for a great way to pass the time when you’re looking to disconnect." "This is an excellent introduction to RVing and a suitable holiday gift for those who are considering the RV lifestyle." "Everything an aspiring RVer needs to know to get started … .While it’s glossy .. it glosses over nothing. It’s not only full of useful information, it’s beautifully laid out and contains amazing photography." "A fantastic comprehensive resource for those contemplating the full-time travel lifestyle as well as seasoned RVers spending their lives on the road. It is concise and reliable information presented in a beautiful coffee-table style book. The wisdom shared in this book would have saved us time and money." "This is a great gift for the aspiring RVer! Packed full of useful information, gorgeous photos and informative diagrams." 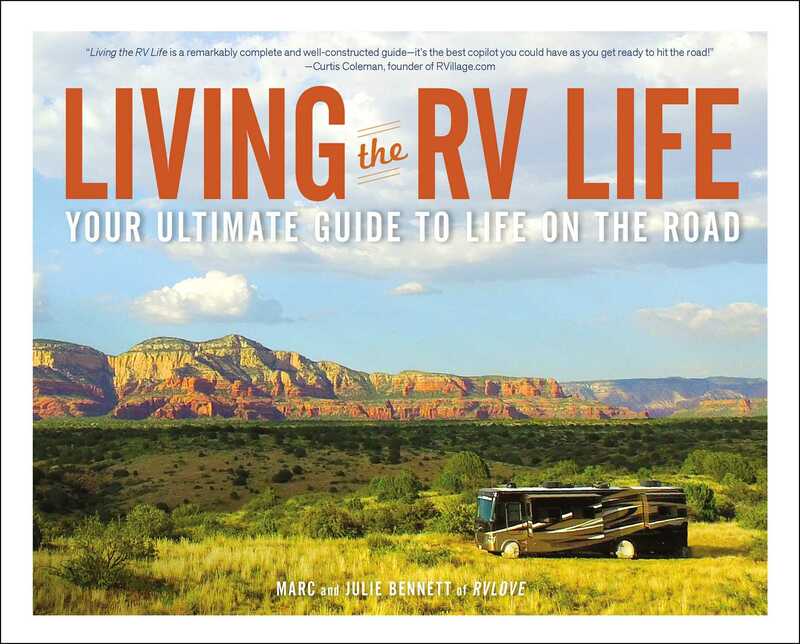 "Perfect for the RVer on your gift-giving list Living the RV Life is jam-packed with full-color photos and practical information to help anyone hit the road and enjoy the RV lifestyle." "WOW is it packed full of good information… .This book … would be invaluable for somebody who is in the ‘serious preparation' phase of starting a nomadic life." "Ever taken an RV road trip and thought, I could get used to this? Explorist wishes we had a copy of Living the RV Life before we set out of on our own multi-year journeys. Full of inspirational and practical information, this book … is a must-read for anyone looking to live on the road." "This book has … an inspirational, get out there and do it, kind of feel." "Both aspirational and practical Living the RV Life is a terrific guide for people of all ages looking to downsize, travel, or work on the go." "Each page will energize you, educate you and even entice you to pursue your RV dream!" "Provides practical tips, real-world motivation and profiles of dozens of people who have found happiness on wheels." "Full of useful information for folks dreaming about starting a life of RV travel."